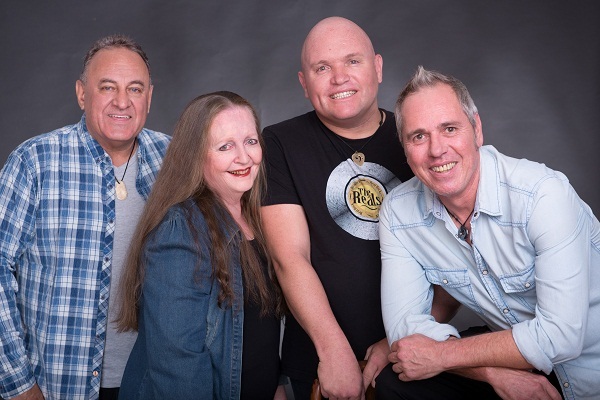 Rhumbelow Theatre in Durban will present Hot August Night, a tribute to the music of Neil Diamond performed by Barry Thomson & The Reals, with a further run at Tina’s Hotel in Kloof. Born in January 1941, Neil Diamond is an American composer, singer, musician and actor. With 38 songs in the Top 10 on the Billboard Adult Contemporary charts, Diamond has sold more than 125 million albums worldwide, making him one of the best-selling musicians of all time. Diamond was inducted into the Songwriters Hall of Fame in 1984 and into the Rock and Roll Hall of Fame in 2011. In 2018, he received the Grammy Lifetime Achievement Award. Diamond was born in Brooklyn, New York, to a Jewish family descended from Russian and Polish immigrants. He attended Erasmus Hall High School and was a member of the Freshman Chorus and Choral Club, along with classmate Barbra Streisand. “We were two poor kids in Brooklyn. We hung out in the front of Erasmus High and smoked cigarettes,” he says. At the age of 16, Diamond spent a number of weeks at Surprise Lake Camp, a camp for Jewish children, where folk singer Pete Seeger performed a small concert. Watching the children singing songs they wrote themselves, had an immediate effect on Diamond, who became aware of the possibility of writing his own songs. For his 16th birthday, he was given his first guitar, started lessons and began to write songs. He said his attraction writing songs was the ‘first real interest’ he had growing up, besides helping him to release his youthful frustrations. Often bored in class, he found writing song lyrics more to his liking. Diamond also used his newly-developing skill to write poetry. By writing poems for girls he was attracted to in school, he soon learned it often won their hearts. His male classmates took note and began asking him to write poems for them which they would sing and use with equal success. He began cutting classes and taking the train up to Tin Pan Alley, where he tried to get some of his songs heard by local music publishers. Ten units short of graduation in his senior year, Sunbeam Music Publishing offered him a 16-week job writing songs for $50 a week and he dropped out of college to accept it. Diamond spent his early career as a hired songwriter in the Brill Building where some of the most popular American hit songs were written, published and recorded. His first success as a songwriter came in November 1965, with Sunday and Me and greater success followed with The Monkees recording I'm a Believer which became a gold record within two days of its release, voted the Popular Music Song of the Year in 1966. Other notable artists who recorded his early songs were the English hard-rock band Deep Purple, Lulu, Cliff Richard and UB40 with Red Red Wine. His early concerts saw him as opening act for artistes including Herman's Hermits and The Who and he was shocked to see Pete Townshend swinging his guitar like a club, then throwing it against walls and off the stage until the instrument's neck broke. It was the first time he had seen a band smashing their instruments and amplifiers to pieces. Paying respect to the music of this legendary artist composer and performer are Durban’s own tribute band The Reals with Barry Thomson on guitar and vocals, musical director Dawn Selby on keyboards and vocals, Mali Sewell on drums and vocals and Jason Andrew on bass guitar and vocals. Included in the repertoire of ‘Hot August Night’ are Diamond’s hit songs Cracklin' Rosie, Song Sung Blue, Longfellow Serenade, Desiree, You Don't Bring Me Flowers, America, Heartlight, Sweet Caroline and I’m A Believer. A show not to be missed! Hot August Night runs from October 5 to 21, 2018 with shows on Fridays and Saturdays at 20h00 and Sundays at 14h00. October 12 is a Rotary Fundraiser night. The venue opens 90 minutes before show for picnic dinner. Tickets R150 (R130 pensioners/students and tables of eight or more). (Family Pack Pricing: 2 adults R300 and 2 children - free). Discounts apply 1st week ONLY. “Hot August Night” will run at Tina’s Hotel in Kloof from October 24 to 28, 2018.